It says followed but I certainly led some pitches. 17 to be more accurate. Simply Amazing and a bit scary. Sick dude! How was the crux move? There were several crux moves. Some were exhausting, some were really hard, and some were scary. All of them were fantastic. Definitely one of the best routes I've done. Awesome - what's next on your project list now that you've been on both the Rostrum and Astroman? One hung at the crux. Onsighted the rest of the pitches. damn - that's crazy. nicely done. 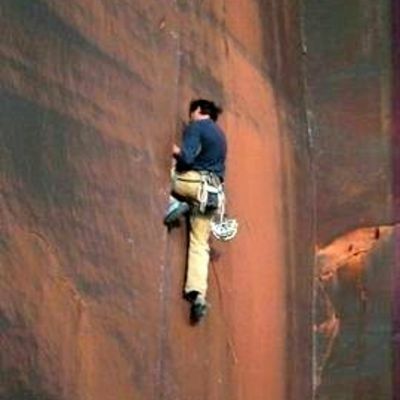 you going back to send the crux pitch at any point? Thanks Gabe. I will definitely be going back to send the crux pitch and to lead some of the pitches I didn't get to this time. The climb really lives up to it's billing as an ultra classic and will probably keep me coming back many times in the future. Special thanks to the Skimble crew on this trip.